Welcome to 4900 Boardwalk, Ventnor City. 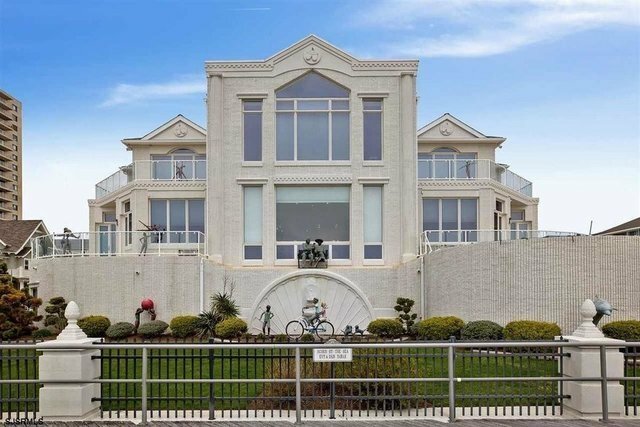 This stately and stunning residence features 16 en-suite bedrooms and three half bathrooms, situated on an over-sized lot (125' x 125') on Ventnor's famous boardwalk with direct views of the ocean and just steps to beach. This one has it all, open floor plan, gourmet-chef's kitchen, floor to ceiling windows, elevator, multiple fireplaces, game room, ample parking with three garages, lush landscaping and multiple-private decks with water views. Ventnor is experiencing a renaissance in development due to Stockton University and two new casinos in Atlantic City. Call today for a private appointment. Owner prefers showings Monday through Friday.